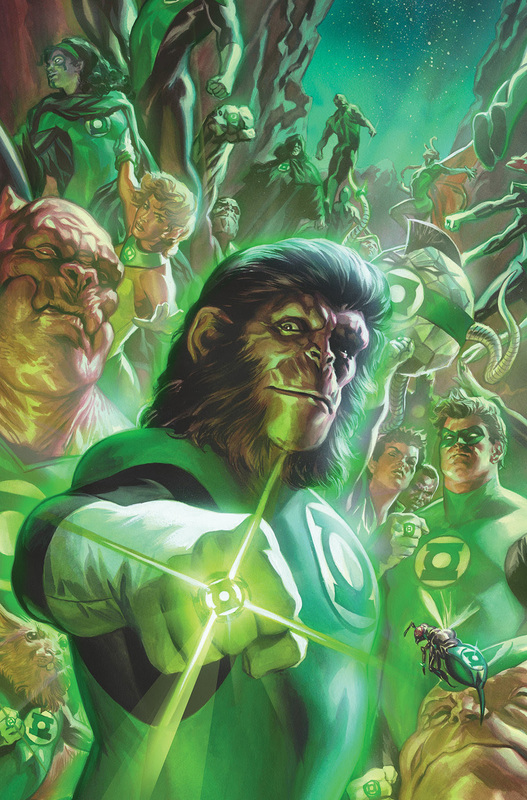 Variant Covers Revealed for Green Lantern / Planet of the Apes Crossover! BOOM! 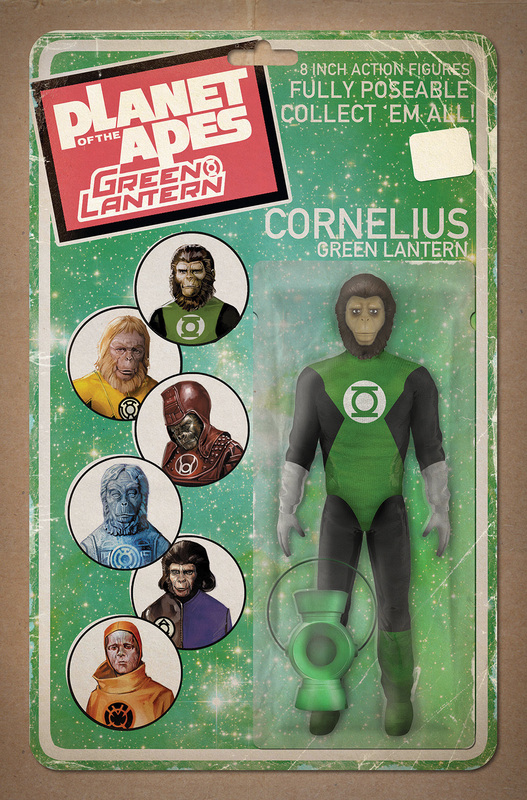 Studios, DC, and Twentieth Century Fox Consumer Products are pleased to reveal variant covers for Planet of the Apes/Green Lantern #1, a six-issue, monthly limited series debuting on February 1, 2017 by writers Robbie Thompson (Silk) and Justin Jordan (Green Lantern), and artist Barnaby Bagenda (The Omega Men). 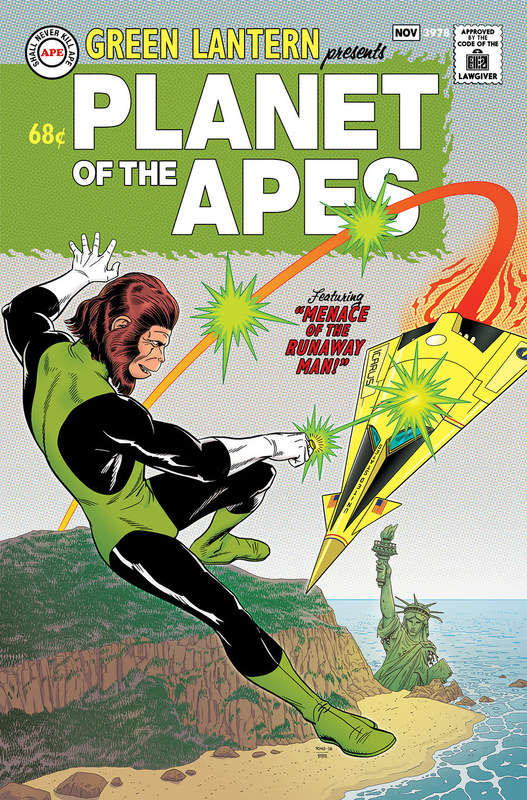 Variant covers include a movie poster homage cover by Steve Morris (Buffy the Vampire Slayer), a Silver Age-themed cover by Paul Rivoche (Batman ‘66), a foil-stamped cover by Felipe Massafera (Wonder Woman), and a vintage action figure cover by David Ryan Robinson (Mighty Morphin Power Rangers). Print copies of Planet of the Apes/Green Lantern #1 will be available for sale at local comic book shops (use comicshoplocator.com or findacomicshop.com to find the nearest one) or at the BOOM! webstore on February 1, 2017. 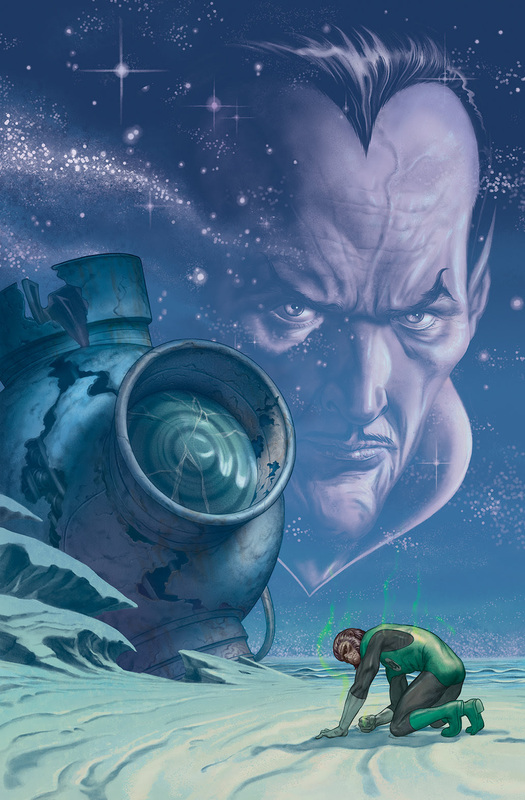 Digital copies will be available to purchase the same day on all major digital marketplaces, including comiXology, iTunes, Google Play, and Kindle.